I remember in my college years that one of my favorite quick, easy, cheap meals were frozen burritos! They were easy to travel with, easy to heat, tasted great and most important, at the time, CHEAP! I’ve had[amazon_link id=”B002HTS540″ target=”_blank” container=”” container_class=”” ] Amy’s[/amazon_link] brand a few times in the recent past, but they are a bit pricey and I was sure I could make them for cheaper! I work on the weekends every other week and I often don’t do well making sure I have enough left overs or other easy, packable, reheatable food to take with me for dinner. About a year ago I whipped up a batch of these and froze them and they have been AMAZING! They freeze well and taste fantastic when reheated! Most of the time I’m running out the door to work as dear hubby is coming in. It doesn’t leave for much prep time and grabbing dinner from the freezer is simple and addictive! I can’t begin to describe how great these have been! They are also super filling, so one burrito with a piece of fruit or raw veggies is all I need for dinner! This recipe isn’t really a recipe. It’s the ingredient list I like, but can certainly be altered to taste! Obviously this doesn’t fit my usual food/recipe posts. Hubby doesn’t eat these and they are a treat for me! 😉 and help to make life a little simpler! Cook the rice. Grill the chicken. Saute onions and mushrooms. Put about ½ cup of mixture on first tortilla. Fold in both sides and roll. This time I wrapped them in saran wrap because I had run out of wax paper. Another option would be to wrap in freezer paper as well. 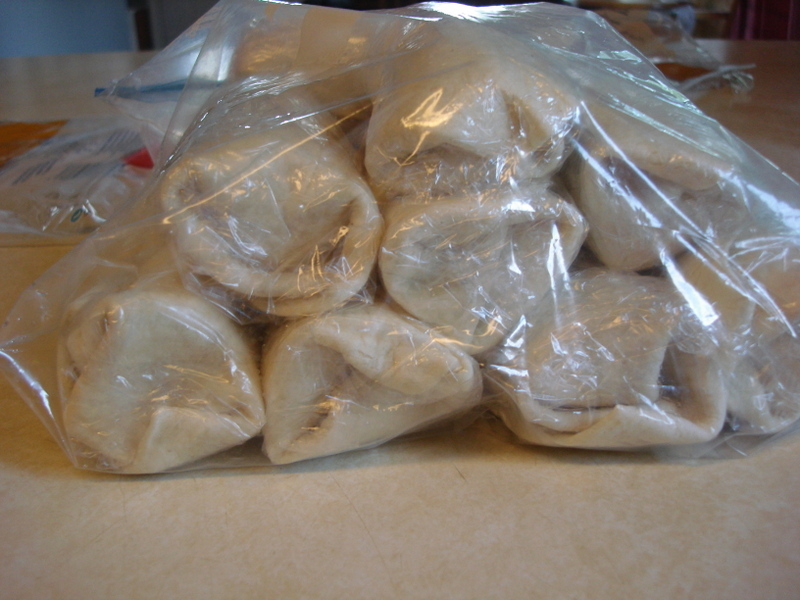 Wrap each individual burrito and then tightly pack into a larger bag or box. By tightly packing them it helps them to freeze tightly together. Then when they are reheated they are less likely to unroll before eating! 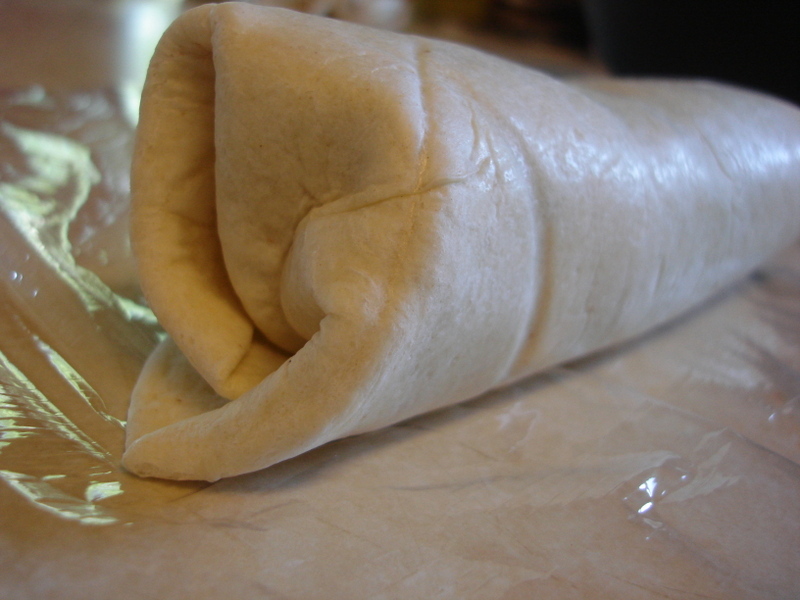 Check this out for a great visual on how to wrap a burrito if you are having difficulty! I often cook a whole chicken for dinners and then freeze the left overs in about 1 lb or 2 cup packages. I will defrost one of these, chop and use instead of grilling. Makes it a little easier. I don’t cook or saute the peppers. I just add them in raw. When the burritos are reheated it softens them perfectly! They don’t get to mushy that way! Can use any type of salsa or just whip up some fresh tomatoes, chilies, cilantro, onions and lemon juice and make pico de gallo and mix it in. I make a huge batch of salsa and can each summer, so I just use that. The main purpose of the salsa is to add moisture and a little flavor. Can add the onion in raw if preferred. it would definitely make the prep work quicker. I don’t like raw onions, but LOVE the flavor of sauteed onions, so I prefer to have them mixed in already cooked! how do you reheat these? and how long does it take? I usually use these for work and it only takes about 2 minutes in the microwave. By the time I’ve heated it at work, it’s been out of the freezer for about 4 hours and is mostly defrosted. At home since we don’t have a microwave I do it in the toaster oven on 350 for about 15-20 minutes, sometimes longer if completely frozen. Hope that helps!